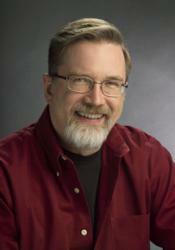 Larry is an informative, entertaining instructor with an amazing depth of knowledge about all things audio. Learn from him how to edit smarter and take full advantage of all the incredible advances in Audition CS6. Larry Jordan, known world-wide for his Apple Final Cut Pro training, is now the first to offer a complete training for the recently announced update to Adobe® Audition® CS6 software that delivers professional audio tools editors need to make video and audio productions sound their best. The milestone, Adobe Creative Suite 6 release features major innovations and powerful new releases of fourteen Creative Suite applications, including Audition CS6. The training consists of more than 60 QuickTime movies in HD, containing more than 5 hours of step-by-step video training. Available immediately as a download, and within a week as a DVD, the training has a retail price of $79. 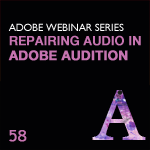 Larry Jordan’s Audition training was released to his subscription service on the day CS6 products were released by Adobe.